David Heller is an attorney and currently serves as Corporate Counsel, Regulatory Affairs at Greenway Health. He collaborates with providers, practices and other ambulatory healthcare organizations to coordinate Greenway’s industry engagement strategy and policy initiatives. David’s combined experience in healthcare includes regulatory analysis, product marketing and business development, with a special emphasis on population health and interoperability. He focuses on how value-based contracts and government programs impact providers’ clinical and business strategies. Professional Radio, thank you for joining us today. Our guest is Mr. David Heller, he’s the Industry and Government Affairs Manager at Greenway Health and he’s joining us on the program today to talk about MACRA, the Medicare Access and Chip Reauthorization Act of 2015. And I’ll let David give us a brief background about himself and we’ll get right into this morning’s discussion. Welcome to the program David, how are you? David Heller: Thanks Neal, I am doing great today. Neal: Well I did mention that you are the Industry and Government Affairs Manager at Greenway Health. Tell us a little bit about yourself and give us a little insight into Greenway Health as well. David: Sure. So I’m actually an attorney for Greenway Health and manage the regulatory affairs so I spend a lot of time engaging with different agencies particularly CMS and the Office of the National Coordinator of Health Information Technology (ONC) and spend a lot of time really trying to understand different policies and how they’re implemented and how those regulations impact us and our customers. Greenway Health is actually an EHR member so we build certified EHRs and also have a number of different services and products are really focused on physicians who operate in the ambulatory spaces. Neal: So what is this Medicare Access and Chip Reauthorization Act of 2015? What is that all about for our listeners who are not familiar with this? David: So MACRA was a bill that did a couple of things. It was a funding mechanism first and foremost and it funded Medicare and children’s health insurance but then it also looked at the various value-based programs at the time and repealed them and kind of looped them into one program, the merit-based incentive payment system. So before the Equality reporting, you use this modifier all kind of being regulated separately, and then Congress said we’re going to loop this all into one program try to reduce the total reporting burden. Neal: Is this greatly changing what has been in place for ever since its inception? Or are there some major changes coming next year? David: There are major changes right now, kind of each year just because the first few years of the program are designed to be a transition period. So CMS is learning as to administer the program, new things and so our physicians and they’re trying to improve on it so each year we see some significant changes. As an example, moving from 2018 into 2019 they introduce the facility based measurement for eligible clinicians who practice in facilities rather than any just a normal office setting. So every single year, there are quirks and new things to really keep an eye out on at least for these first five-six years of the program. Neal: Now these changes they greatly affect the physicians. How are we as patients, consumers, customers going to feel these effects? David: So patients will see the effects mainly through the publication requirements in MACRA. So MACRA requires that some of the quality performance that providers report on be published for the public to consume on a website called Physician Compare. And that’s really so far the only consumer and patient angle of the program, you might see some of the other effects or some of the measures, you might see your provider asking you sign up for a poll or they might be asking you to come in for a screening. That could be driven by the program, so patients might see more interaction with their physicians, but one of the biggest things patients will be able to see is that Physician Compare website where they can see different physician scores. Neal: So what do you think your customers are feeling about MACRA and the changes that as you say are happening every year as far as you streamlining things and being able to better analyze the information that’s out there? What are you hearing from your customers? David: We’re kind of hearing mixed results from our customers. So a lot of our customers are very appreciative of only going to, say, one web portal to report and they’re really appreciative of some of the attempts at simplifying the program schemes. But a lot of providers have also been somewhat frustrated because a lot of providers put a lot of work into the program and the incentive that they received back was relatively low and there’s a lot of reasons for that, mainly comes backing into which is supposed to be budget neutral and it was just that basically means all your penalty bars fund your incentive dollars, the losers are funding the winners. But in 2017, the performance threshold, so what it took to be a winner was really low so only a few losers funding all the winners means those people who won are not making a lot of money. And there’s a lot of right now I’ve detected some frustration and I think that was just a matter of expectation setting. So there’s a mix back and it really comes down to right now, the expectation setting and what providers can expect reasonably out of the program and then also again the administrative simplification was fairly well received. Neal: Now have you been involved with MACRA in some shape, form or fashion since before being involved with Greenway? David: No, I started with Greenway on December 8th of 2014 which was before MACRA was passed so I’ve been involved with MACRA at Greenway the whole time because I have fortunately remained employed with them for the entire time. Neal: So based on your dealings with it on a yearly basis, seeing the landscape, what are your personal thoughts on the future of MACRA based on the way you see healthcare going? 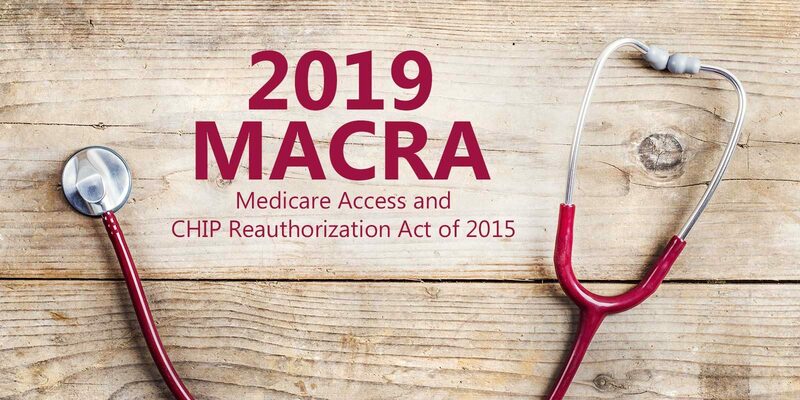 Some of the legislation that may or may not exist in the not-too-distant future and MACRA as a whole. David: So MACRA I think is foundationally really important to Congress. It is largely bipartisan so I don’t see it going away, this passed the Senate in 2015 by a margin of like 92 to 8, that is a remarkable bipartisan margin so I think it is here to stay. I think that’s the first thing when I think about where is it headed, what do we think is going to happen. I do think it is really important for CMS to get the program implementation right which is why they have these transition years because if they don’t get the level of physician buy-in they need, the program will not succeed. It is set up to replace a sustainable growth rate and put in place as a cost control mechanism as well as to improve quality but it won’t be able to do that unless all the physicians are really bought into trying to make the process changes that MACRA attempts to drive. So I think going forward, a lot will really depend of CMS get the Administrative Procedures set up in a way that physicians can follow easily and remain engaged and feel good about what they’re doing and verdict is still out. Neal: Well where can our listeners go and get some more information about Greenway Health and look into MACRA if they choose to and maybe form their own opinions about what’s going to happen in the future as far as the Act is concerned? David: So I think you can always find more information about us at greenwayhealth.com on our Website. We have some materials there that kind of talk through MACRA a little production that’s presented on our website under the Knowledge Center and if you’re curious about 2019 rules were finalized just a couple weeks ago, recommend folks to cms.gov and under the Resource Center they have a fact sheet which distills the 2,400 pages. I’m still reading into about 29, it’s pretty consumable I think for a lot of physicians to at least get their heads around what’s coming next year. Neal: Well David I thank you, I appreciate you coming in and speaking with us today. David: Thank you for your time Neal, I appreciate it.